While Markus and I were in Stokey Town, we were completely spoiled by our friend's parents. On Christmas Eve they took us to see a Christmas Pantomime, which is a wonderful British Christmas tradition. It's a bit hard to describe and can only be fully understood by experiencing it. I thought that was the epitome of our British Christmas experience, but of course they had more in store. On Boxing Day, our friends and their parents kept saying that we had somewhere to be at 1:30pm. I spent the whole morning trying to guess where they were taking us, but I never guessed it would be afternoon tea at Crewe Hall. I was honestly so surprised and really touched. I wanted to go to afternoon tea, but I didn't think it would be at such a classy and beautiful place. I felt like I as stepping into an Agatha Christie novel. I was seriously waiting for someone to walk in and tell me there had been a murder in the parlour. The afternoon tea was nothing short of spectacular and everything was so delicious. You might think it's hard to screw up sandwiches, cakes and scones, but it's possible. The last time we were in England, we went to a place that wasn't that great and it's haunted me ever since. 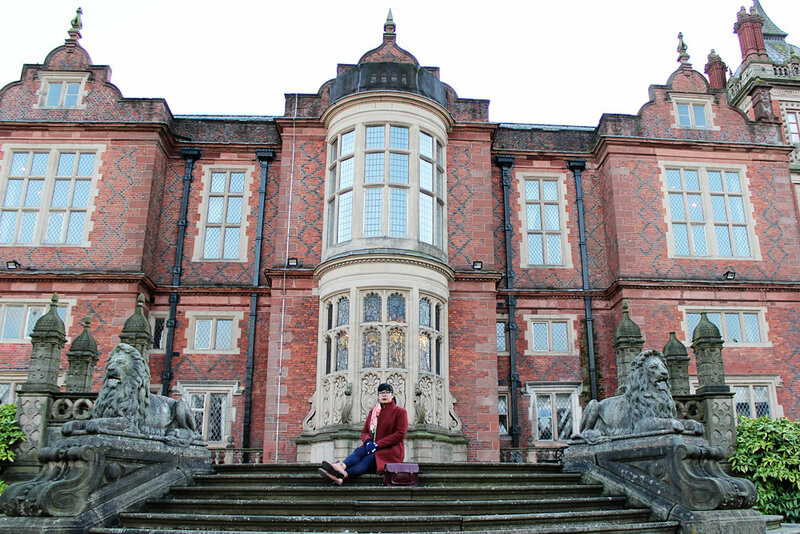 After tea, Markus and I roamed around the beautiful estate. Crewe Hall is an old Jacobean mansion that dates as far back as 1170 and this particular structure was finished in 1636. Currently, there are 117 rooms and all the rooms you would expect in an old estate such as this. We had access to the Reception Hall, Grand Library, Hall of Pillars, Chapel, Grand Staircase, East Hall, Dining Room, Carved Parlour, and Drawing Room. Apparently, Charles Dickens paternal grandparents were servants at Crewe Hall during the 18th century. In the past, many famous dignitaries and people have stayed there and it's also a popular wedding venue. Our friends told us that it is always sought after for weddings since it's the perfect twist of past and present. 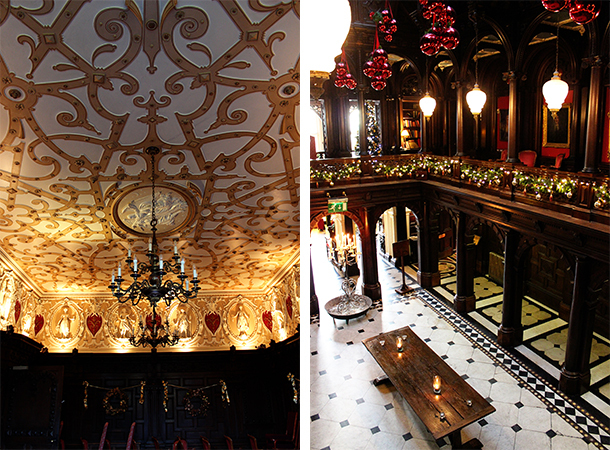 I loved everything about Crewe Hall and wished I could've seen it in it's heyday. I always love visiting places that are rich in history and have stories to tell.